$3.00 per meat pen. Meat pens are considered one entry. Open Class Entries are limited to Montour, Northumberland, Snyder and Union Counties. The latest rules of the American Rabbit Breeders Association will govern the conduct of the show. Exhibitor must show his or her own rabbit. Each rabbit must be kept in its own cage until the rabbit is judged. After judging, rabbits will be assigned a cage inside the Rabbit Barn. 4H and FFA rabbits will be penned first, followed by Open Class rabbits. It is suggested that all rabbits have permanent ear tattoos. This is for your own protection if a question of ownership arises. Rabbits must be in good health. Rabbits will be checked for eye and nasal drainage, ear mites and other signs of illness. Judge will eliminate stock found to be diseased while judging. Sick rabbits must be removed from the building as soon as possible. Judges will not award prizes to an unworthy entry. In the absence of competition, or where only one rabbit is entered, 1st, 2nd, 3rd, or no premium will be awarded according to the merit of the entry. Entries will be made in two (2) classes: Open, 4H and/or FFA. Entries limited to 10 per exhibitor. There will be Senior (6 months and over) and Junior (under 6 months) Classes in all breeds. 4H and FFA Livestock Sale participants may enter one meat pen in the sale. A meat pen consists of three rabbits of the same breed and variety, not over 10 weeks in age and not weighing under 3.5 lbs. or over 5.5 lbs. per ARBA standard. Rabbits will be weighed by the judge. Fair will provide water, feed and feeding dishes for rabbits. Rabbits will be fed and watered by capable help during the week of the fair. Fair will not be responsible for the loss of any rabbits. NO BEDDING: no cardboard, no hay, and no straw. If a resting board is needed, an approved plastic or wooden board will be provided by the exhibitor. Rabbits may be removed from 9:00 – 11:00 PM Saturday. All rabbits must be removed by 11:00 AM Sunday. No rabbits (other than the meat pens bought at the livestock sale and rabbits expelled due to illness) will leave the rabbit building before 9 PM on Saturday or exhibitor will forfeit winnings. All buying and selling of rabbits will be done outside the rabbit building after 9:00 PM Saturday. All Union County entries will be accepted over entries from other counties, regardless of postmark date. It is the exhibitor’s responsibility to properly name the breed entered. Any rabbit improperly entered will be disqualified and will not be judged. The judge will mark the correct name on the tag for the benefit of the exhibitor. Each exhibitor is limited to one rabbit meat pen. In preparation, up to ten rabbits may be tattooed. Entries will have a permanent tattoo in the left ear. A meat pen consists of three rabbits of the same breed and variety. They may be up to 10 weeks old (70 days maximum). Minimum weight 3.5 lbs. and maximum weight of 5.5 lbs. each. Youth exhibitors must own the doe(s) and kits must be kindled in the owner’s rabbitry. Owner must notify their county agent, 4-H club leader or FFA advisor of their intent to enter a meat pen before the doe is bred. 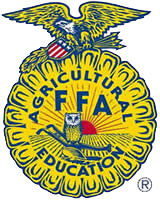 Exhibitor must notify their county agent, 4-H club leader, or FFA advisor within three days of the doe’s kindling. Exhibitor must tattoo all rabbits to be grown for competition at 4 weeks of age in the presence of the county agent, 4-H Club leader or FFA advisor. Up to 10 rabbits may be tattooed. The agent or advisor must then sign the compliance statement listing the tattoo numbers. The compliance statement must be brought with the rabbits to the Fair. In cases when exhibitors do not have the 3 rabbits needed for a meat pen, exhibitors may enter the remaining rabbits in the fryer class. Exhibitors may show both a meat pen and/or fryer. Fryers may be sold at the Livestock Sale, however, exhibitors may only sell a fryer if they do not have a meat pen to sell. PREMIUMS: $4.50, $3.50, $2.50, $2, $1.50, except Best of Show. 10 10 10435 33. Roaster: Single rabbit under 6 months, must weigh between 5.5 to 8 lbs. 10 10 10437 34. Stewer: Single rabbit 6 months of age and over, minimum weight 8 lbs.